Sometimes it’s fun to be a tourist and do all the stereotypical things that a city has to offer. On the third day I was in Boston, it was hit with a major winter storm that covered the city in more than 20cm of snow (not much in Canadian standards tbh). Many of the shops were closed and I decided to walk the Freedom Trail in Boston. Anyway I came across this dessert bakery called Mike’s Pastry and it had to be one of the most grandiose shops on Hanover Street. I decided to step in and I found that they had a very wide array of desserts from cakes, pies, éclairs, all the way to fresh authentic gelato. Being in Boston, I felt it obligatory for me to try an authentic Boston Cream Pie. 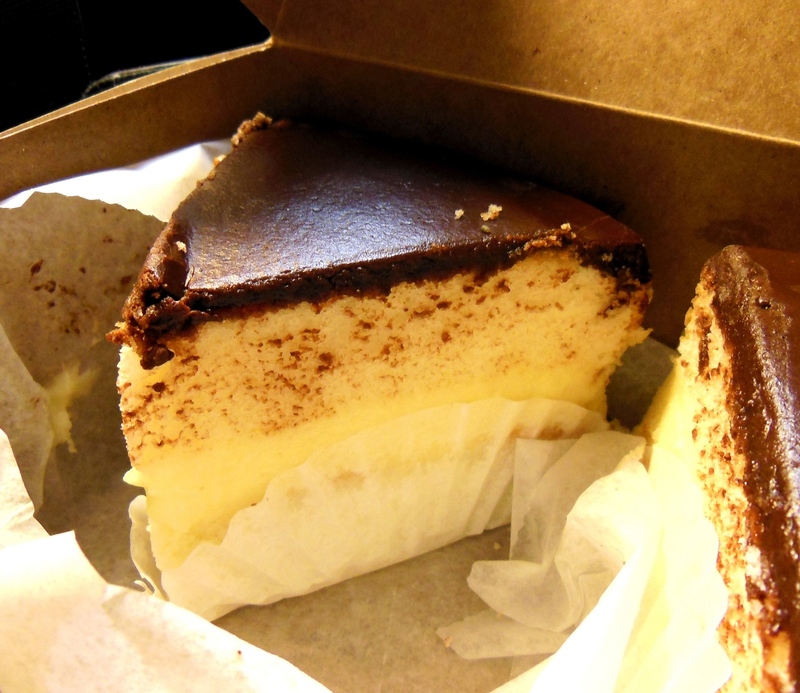 Little did I know, a Boston Cream Pie is in fact not a pie, it’s actually a cake. Filled with custard in the middle and topped with a chocolate ganache, the construction of a Boston Cream Pie is very humble and quite delicious when done right. At Mike’s a slice of Boston Cream Pie goes for $3, which is quite affordable seeing as they give you a large helping as a single slice. If you walk into Mike’s Pastry and it’s not busy, the staff there can be curt and not very patient. I took it as these people were very down to business and wanted customers to turnover very quickly. No dilly dallying in Boston! A return session to Mike’s Pastry is definitely in order the next time I’m in town and next up would be the pastries and gelato. Now excuse me as I find some HIIT sessions to burn off the custard.